We love our coffee: that’s the finding from Canstar Blue’s recent consumer research into the coffee drinking habits of Kiwis. A full 38% of our 1,600-odd survey respondents said that they can’t start the day without a coffee. And 52% of us will go out of our way to buy a good cup of coffee. It’s not just about the taste alone though: 54% of us also care about the ethical/environmental impacts of coffee. And when it comes to ethics, “Fairtrade” is the catch cry. But – what does Fairtrade actually mean? First up, Fairtrade doesn’t apply just to coffee. Cotton, flowers, sugar, wine – even gold – are a few of the product categories for which a Fairtrade system is in place. At its essence, Fairtrade is a formalized agreement between producers and a Fairtrade certifying body. Producers who wish to be Fairtrade certified must abide by a Fairtrade Standard for their particular industry. The specifics of each Standard will differ from product to product, but will include requirements such as using environmentally sound agricultural practices, not using any forced or child labour, ensuring good health and safety standards to avoid worker injury, and many more things. In return for abiding by the Standard, producers will receive a price for their product that covers their average costs of sustainable production, plus receive an extra Fairtrade premium. The objective of the Fairtrade system is to ensure that farmers and workers receive a fair price for their work. 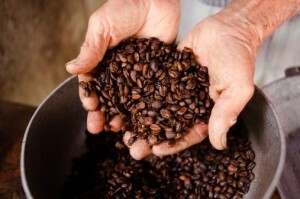 How does Fairtrade apply to coffee? The price of coffee beans is volatile. 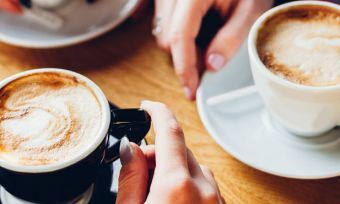 Whilst many Kiwis – and plenty of people elsewhere in the world – can’t image starting their day without a coffee, the price of the beans is still subject to supply and demand. While demand does not generally decrease, supply does and this in the past has pushed the price of beans to extreme lows. A coffee plant takes between three to five years to produce fruit, so the approximately 25 million coffee farmers around the world are not able to react quickly to changes in price. Fairtrade provides a safety net for certified farmers, ensuring that they will get a price for their coffee beans that at a minimum covers their average costs of sustainable development. This is called a Fairtrade Minimum Price. Is Fairtrade coffee different coffee? No! There’s no difference in the types of coffee produced by farmers who are free trade or non-free trade. It simply comes down to the way the coffee is produced, the conditions that workers receive and the price paid to the farmer. In terms of the coffee itself though – the beans are the same! You can find out more about Fairtrade programs at fairtrade.org.nz.